For someone who enjoys wearing nail colour, the biggest challenge is having a good product that will take off the toughest of nail paints; a good nail polish remover or nail polish removing wipes. And if that someone is me who absolutely loves to wear red nail colour, the problem is bigger than ever, because I’m personally not a fan of the smeared orange nails (who is?) that are left behind by what was once a great rouge. We were sent a pretty PR package; Rouge It Nail Remover Wipes and we tried them out on SiddySays TV to find out iif it were a miracle product. 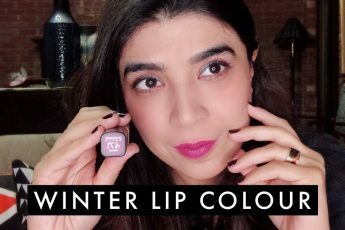 So if you love nail colour as much as I so, this is one video you want to watch!